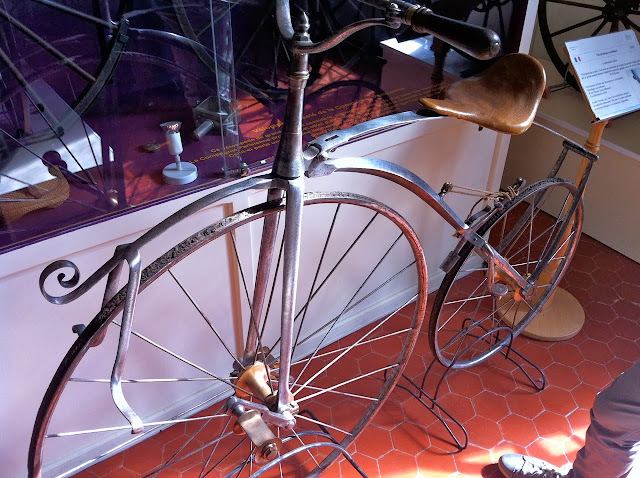 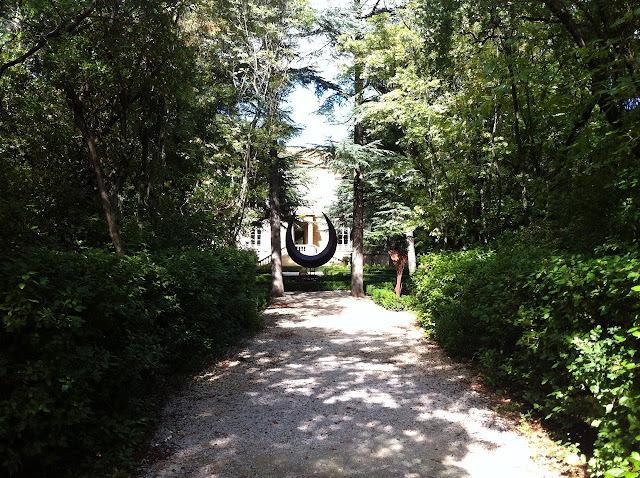 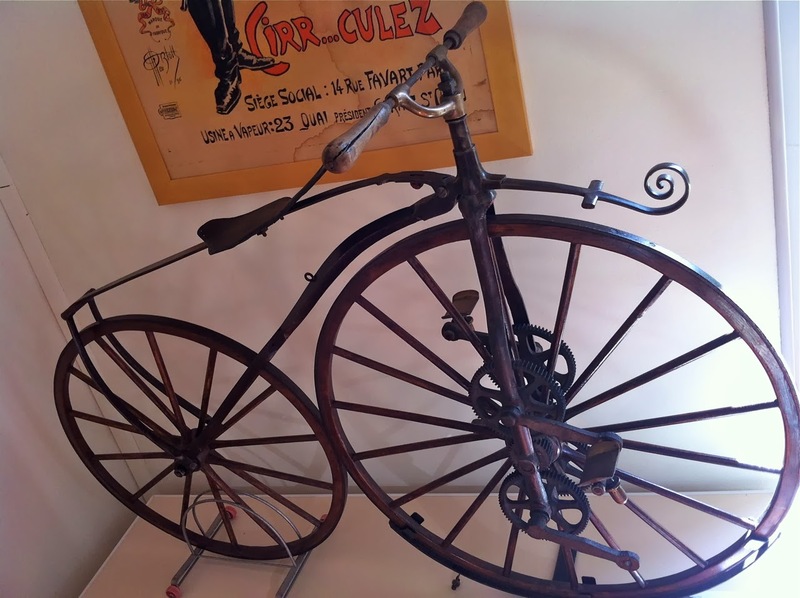 When you decide to make holidays at Cote d’Azur in France you should also visit the bicycle and motorcycle Museum of Claude Reynaud, in Domazan, near Avignon. 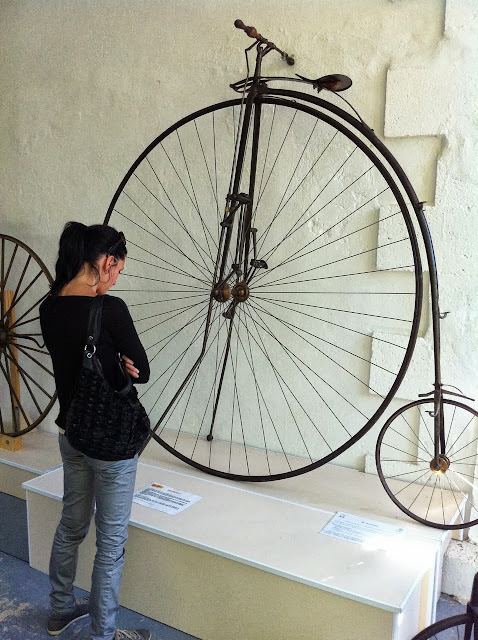 From Marseille its only 1,5 h to drive and its absolutely worth a visit. 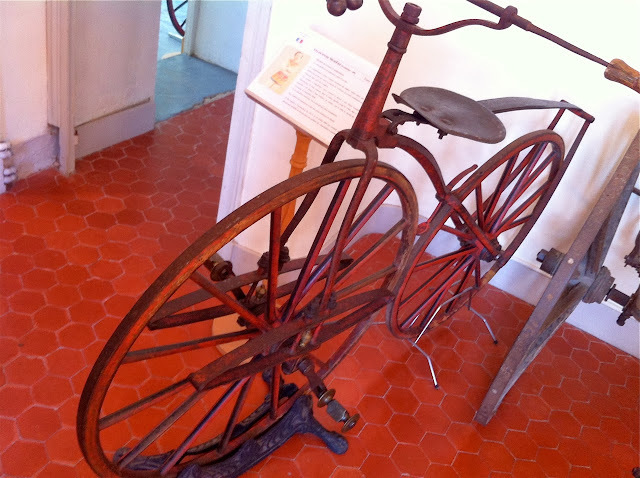 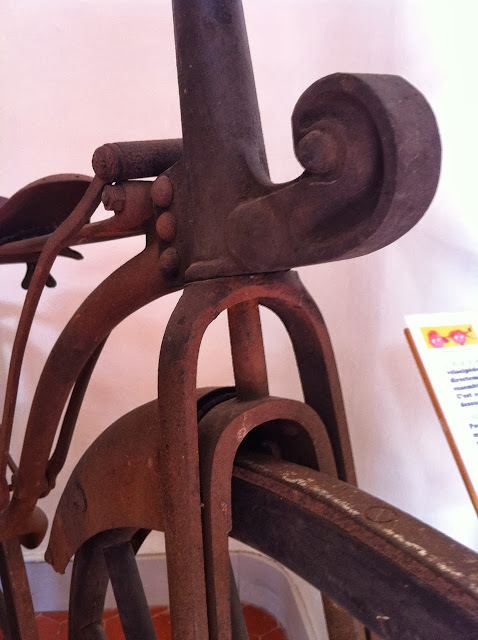 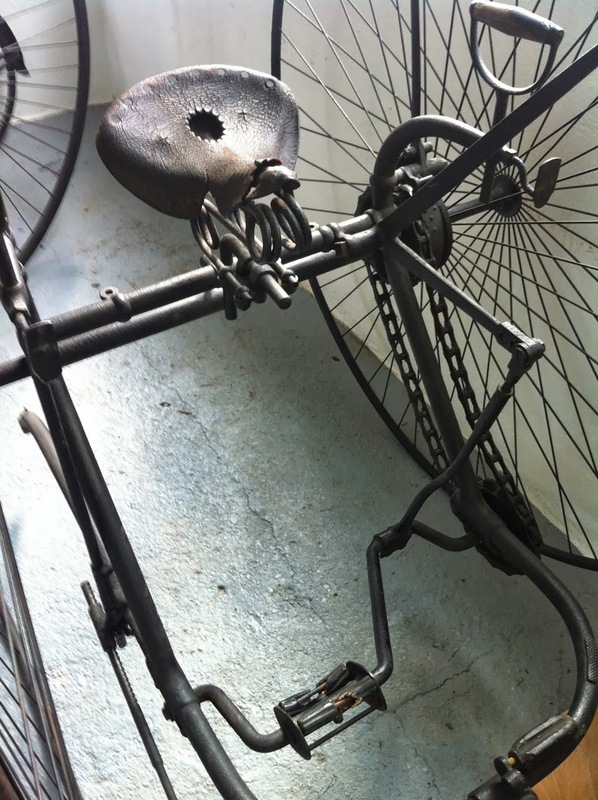 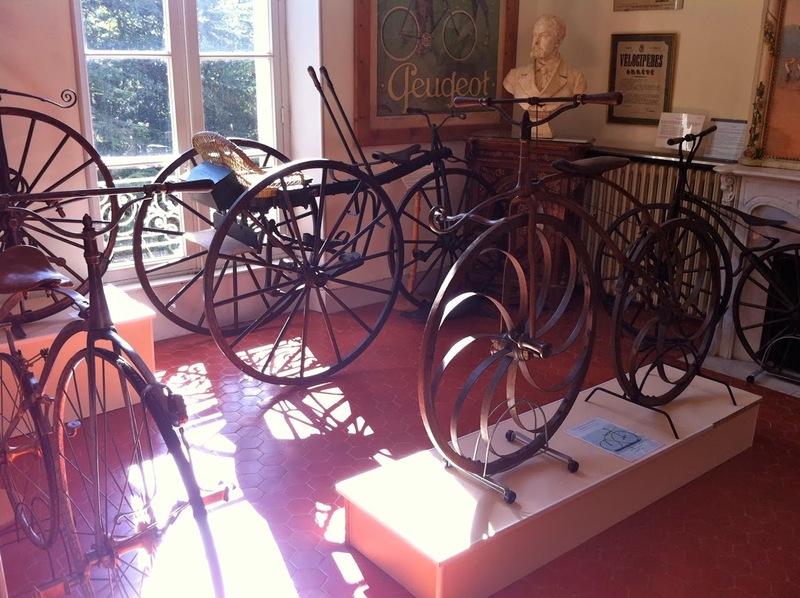 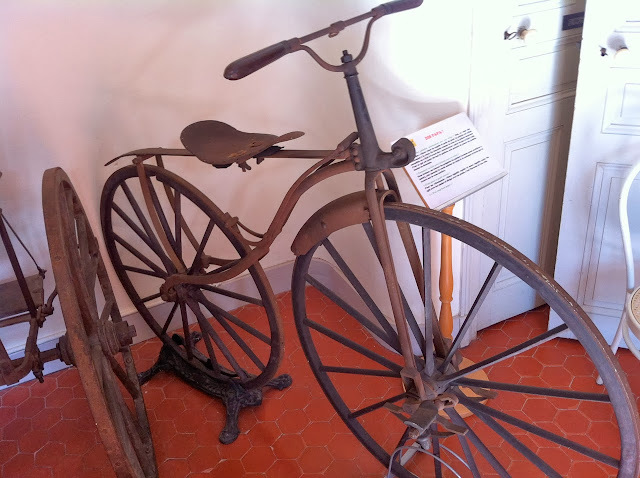 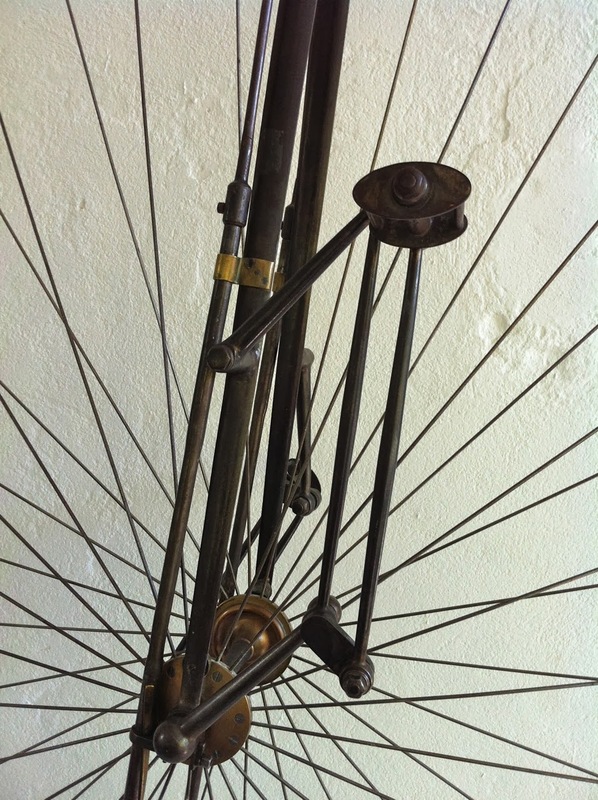 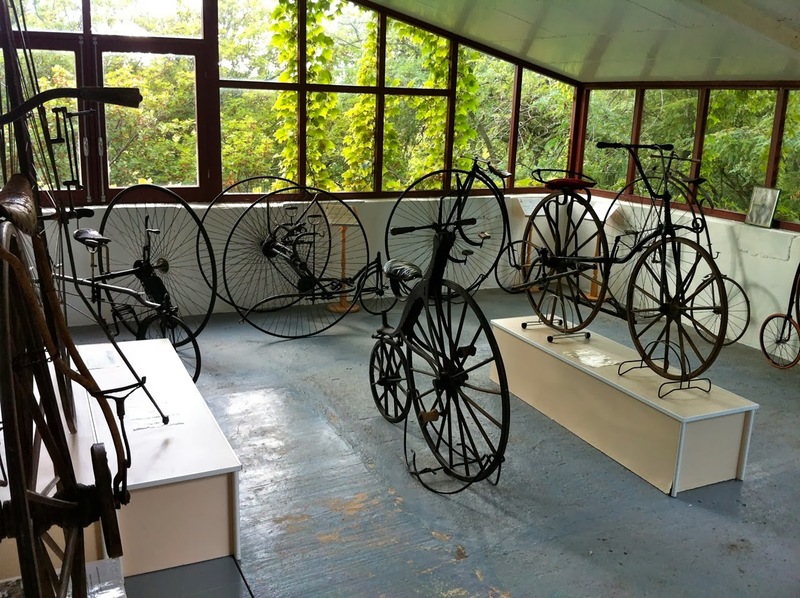 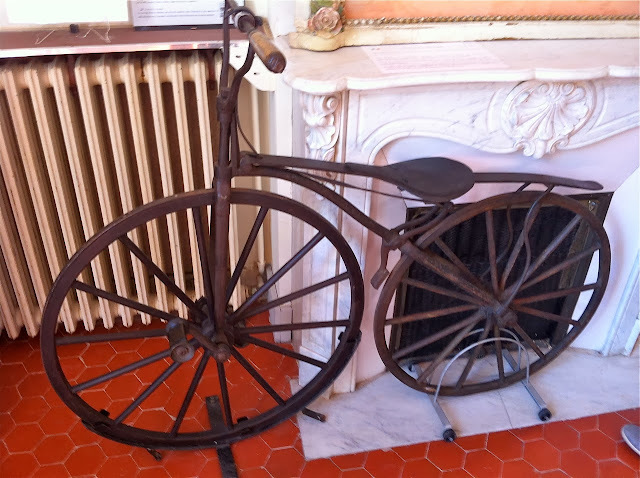 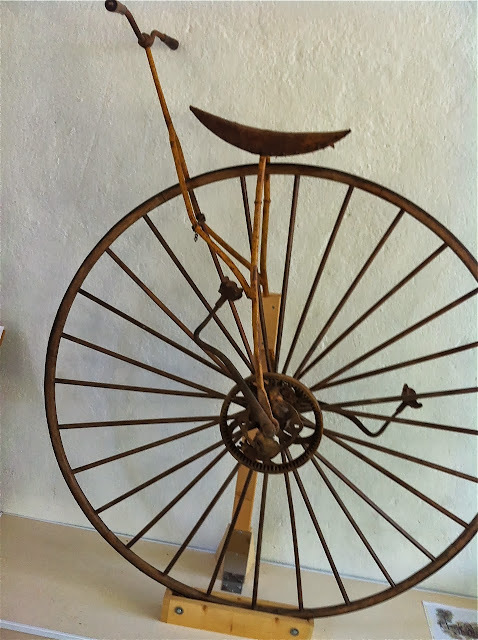 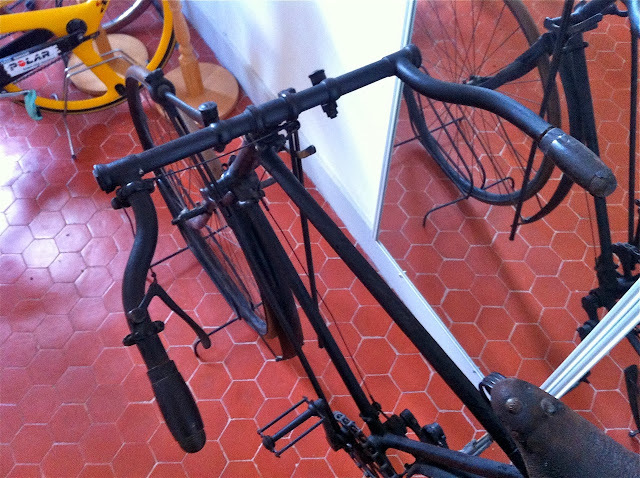 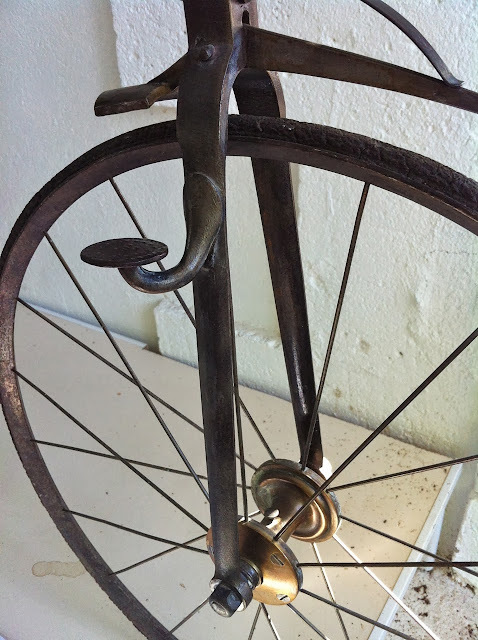 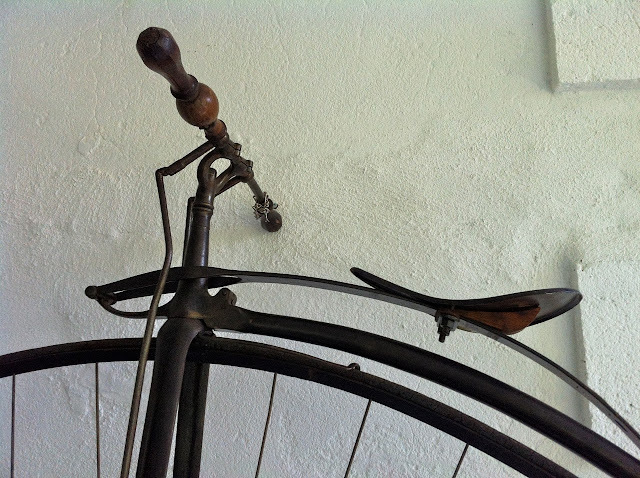 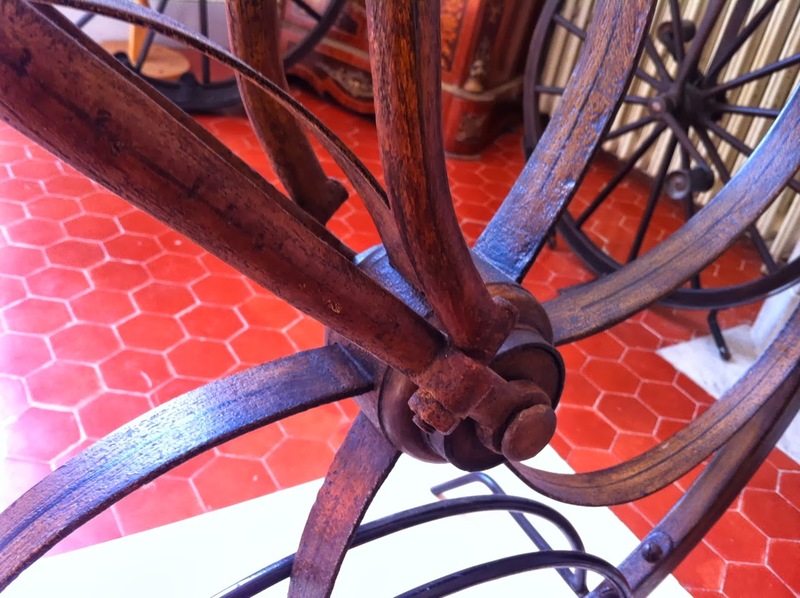 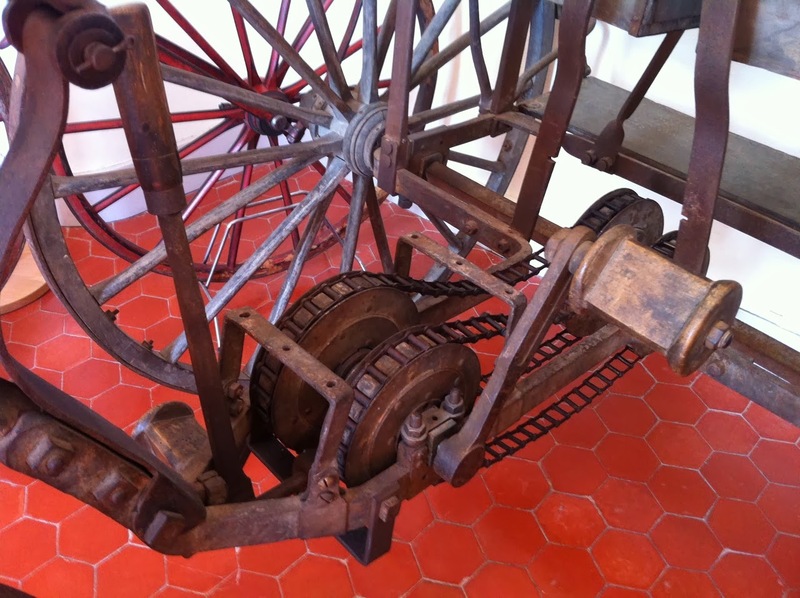 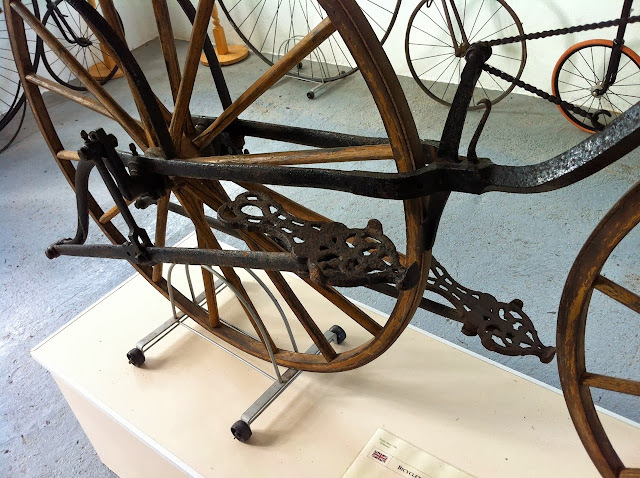 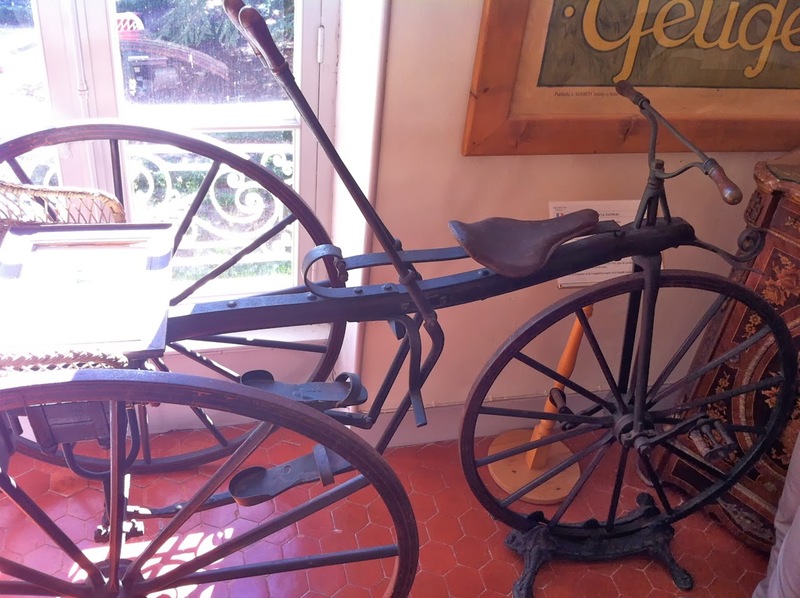 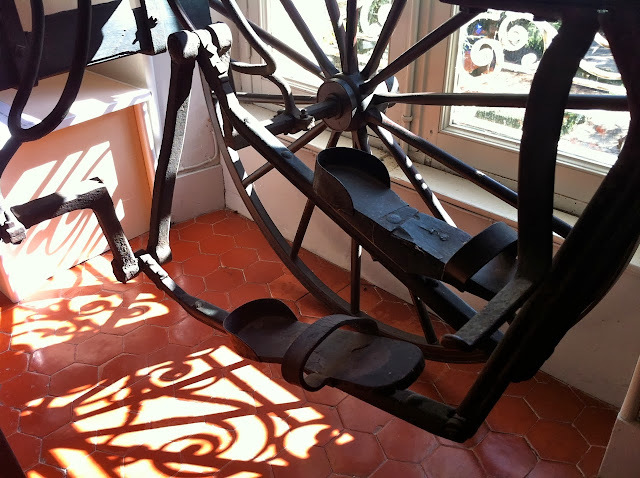 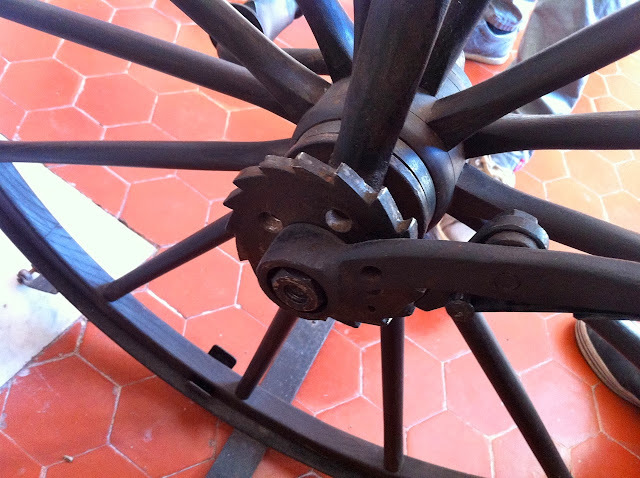 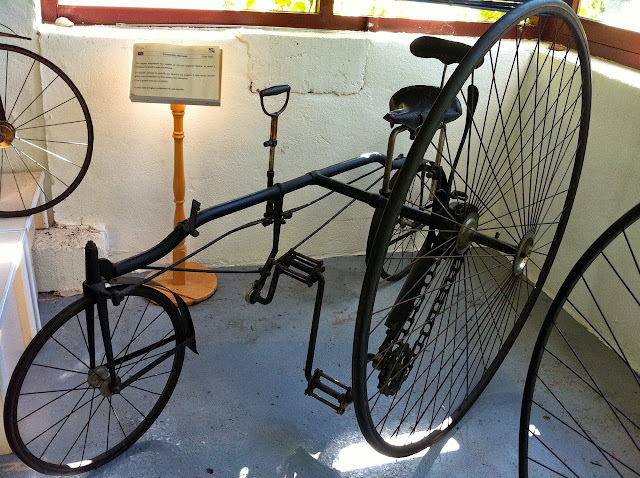 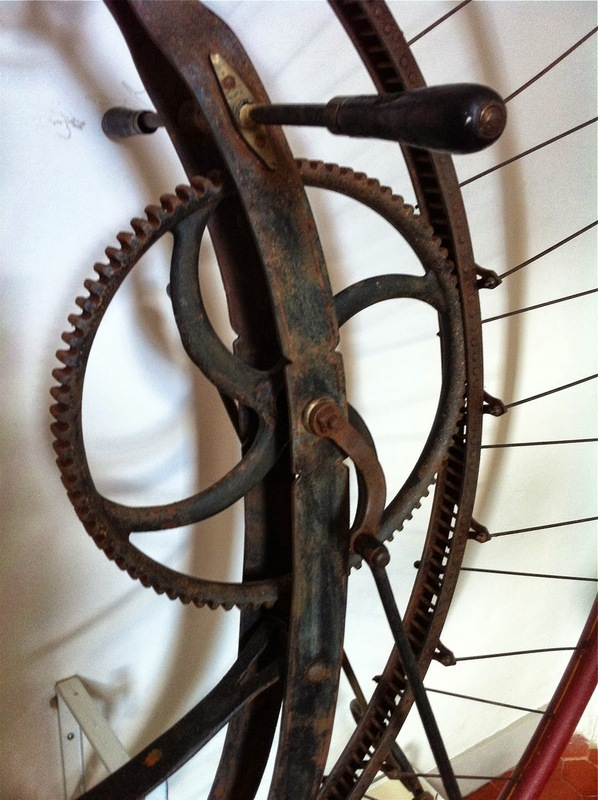 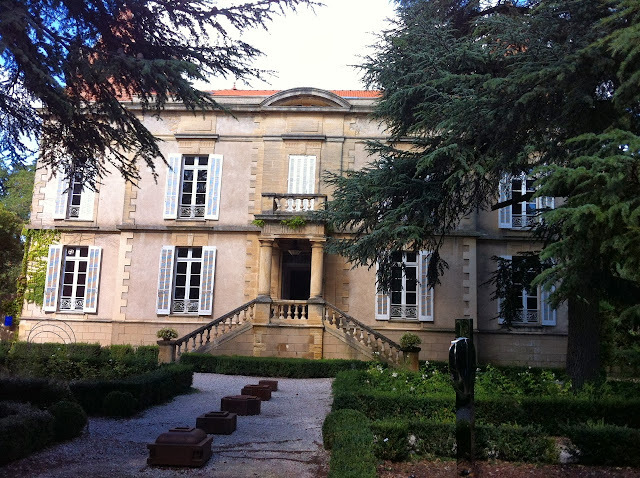 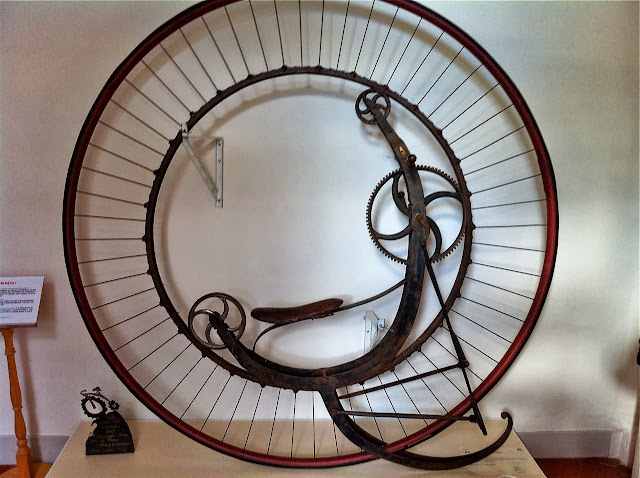 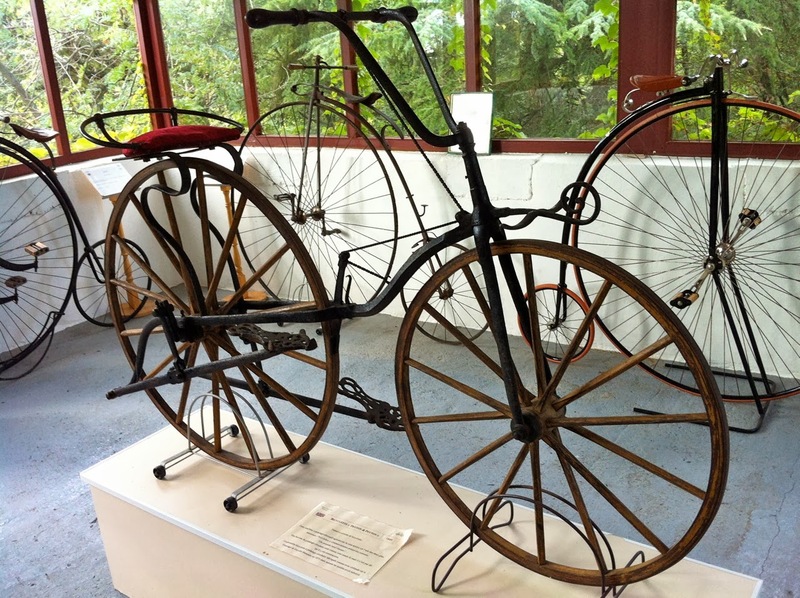 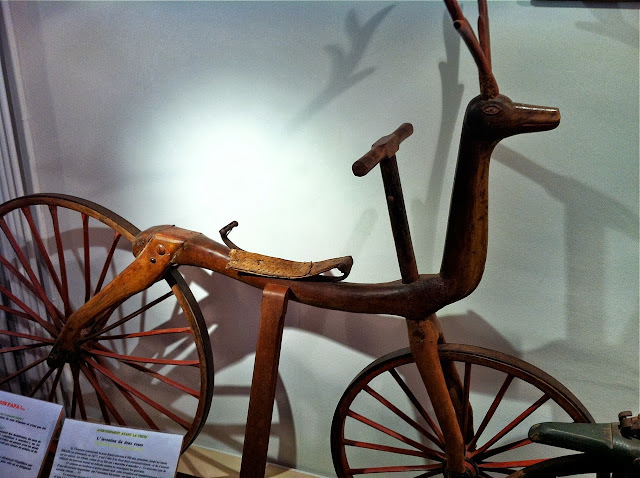 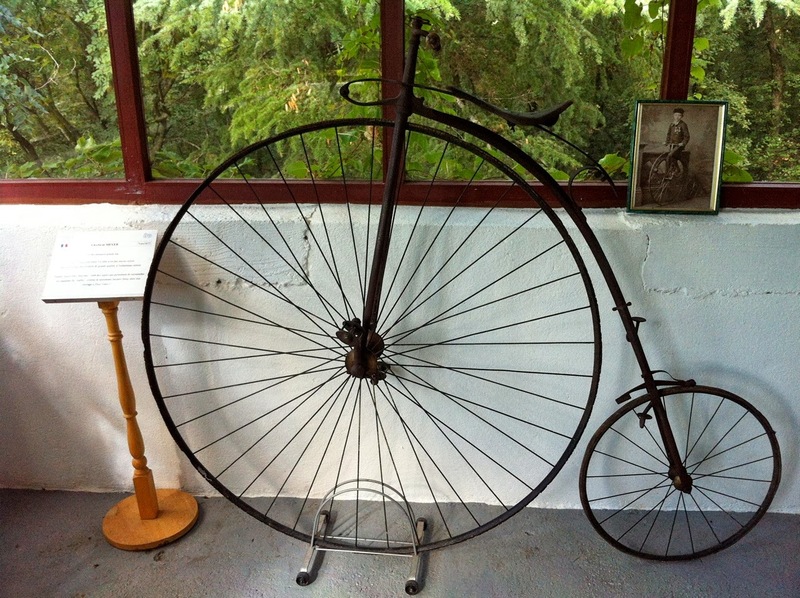 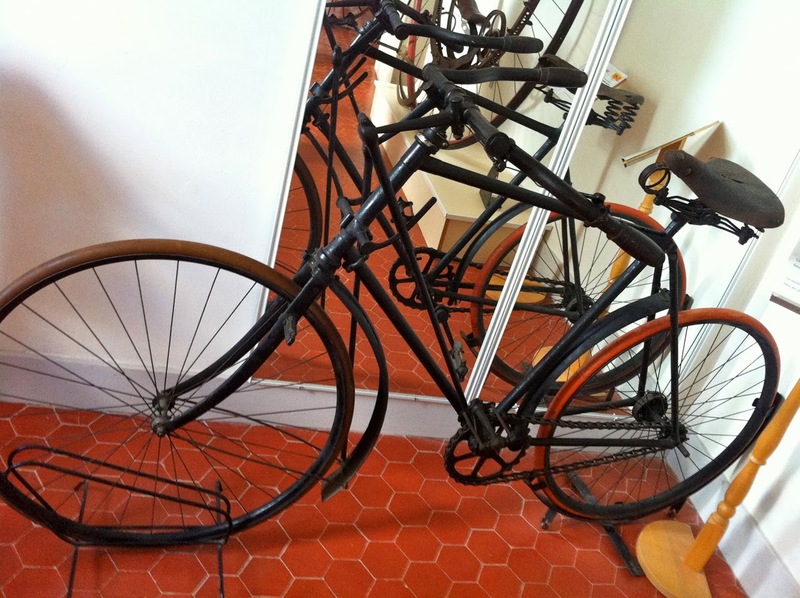 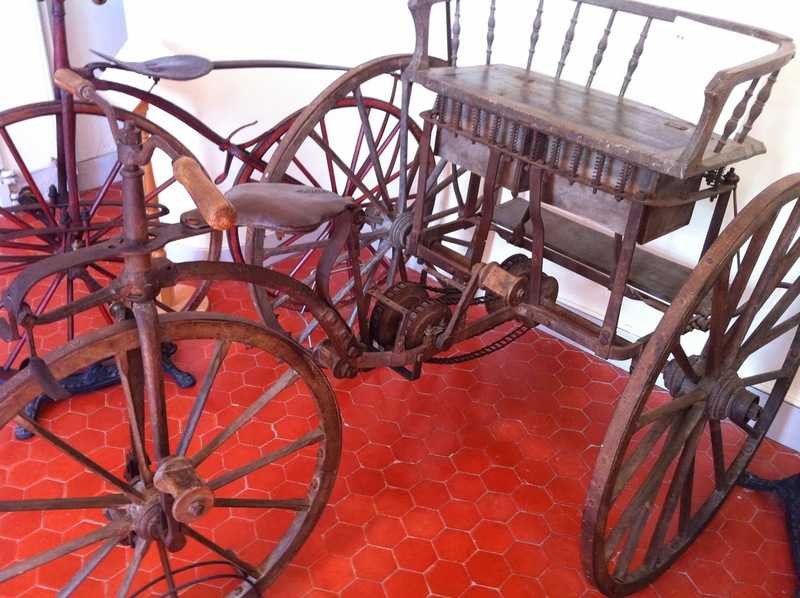 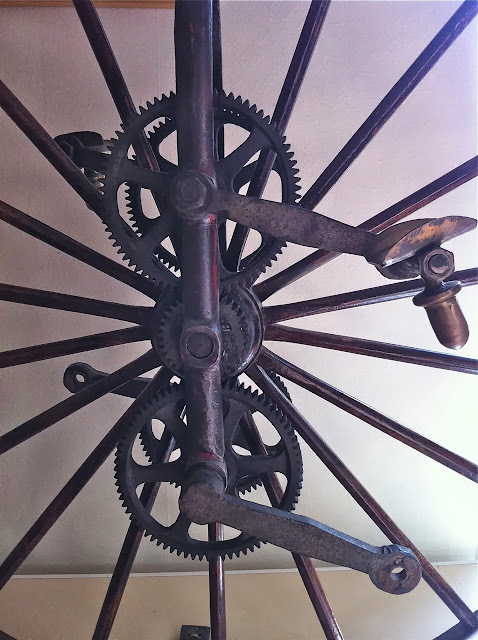 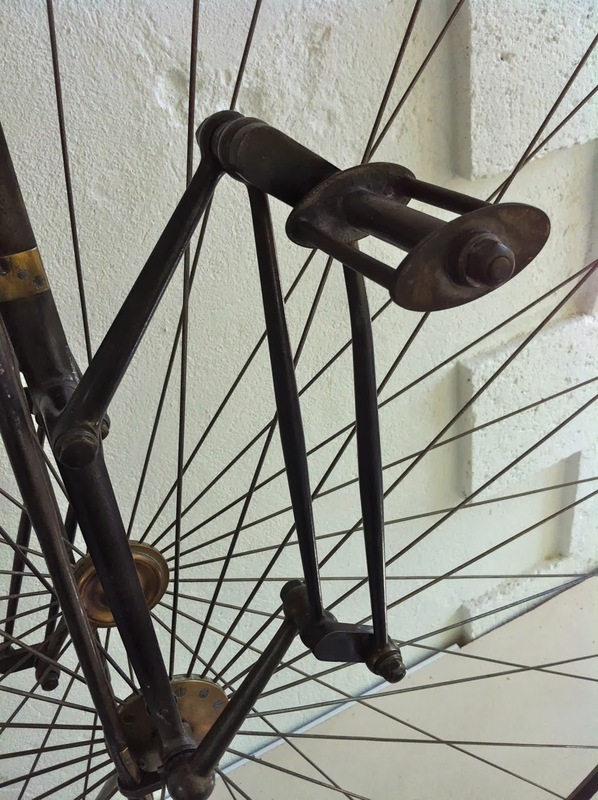 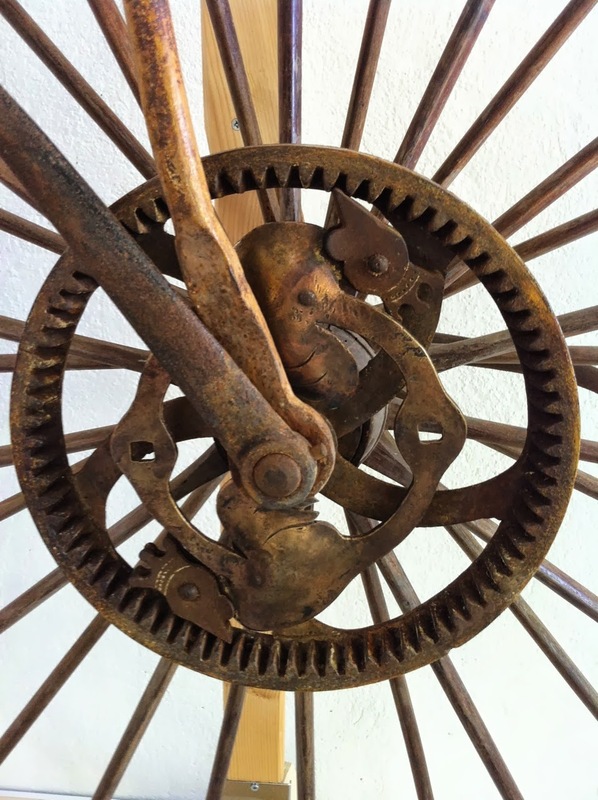 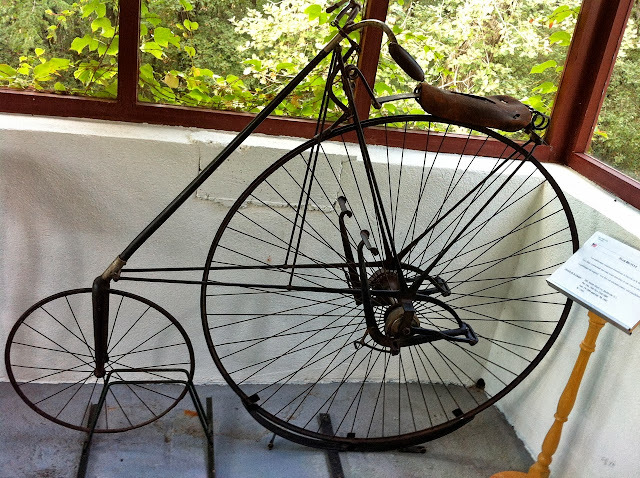 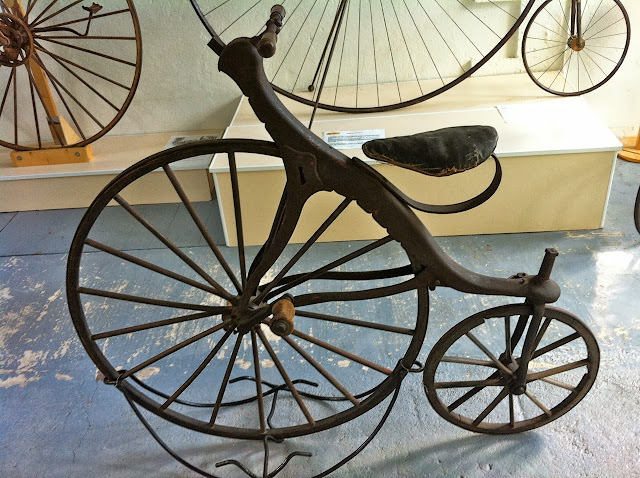 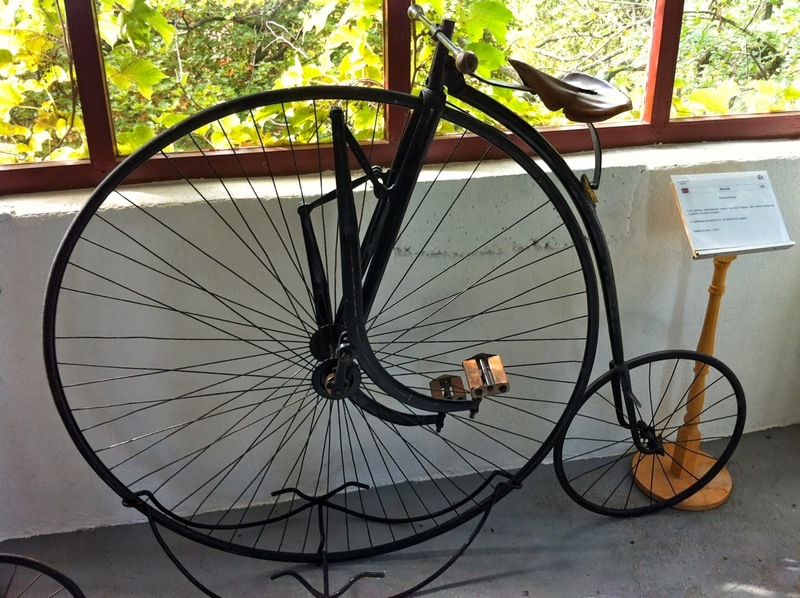 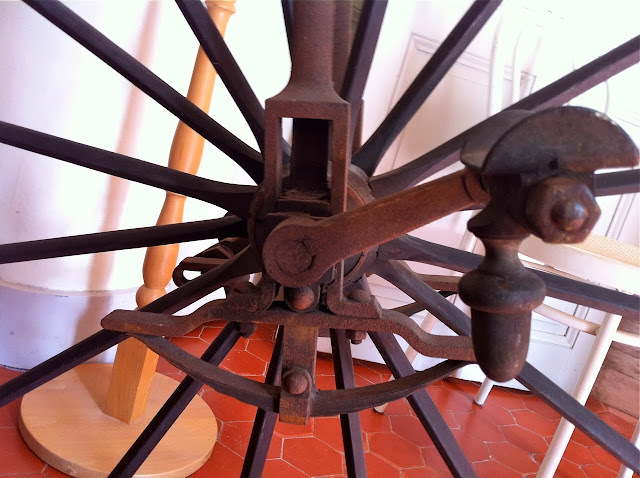 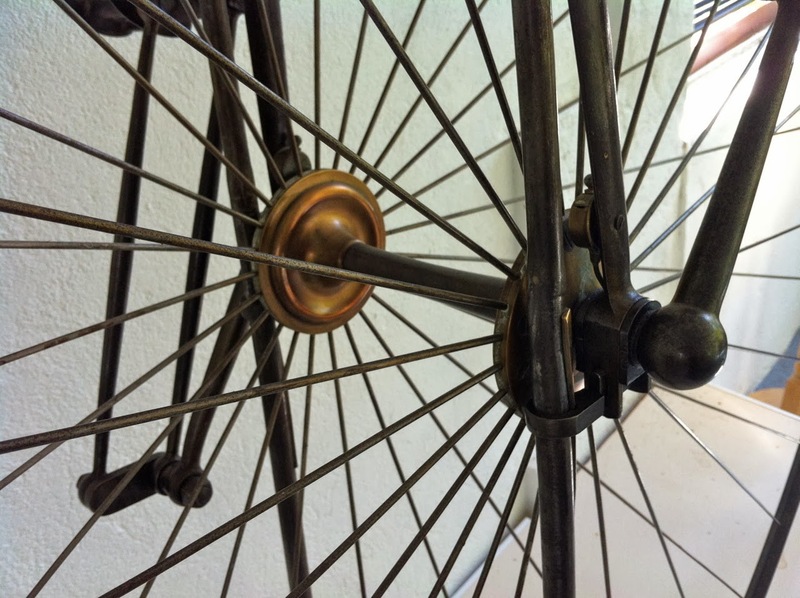 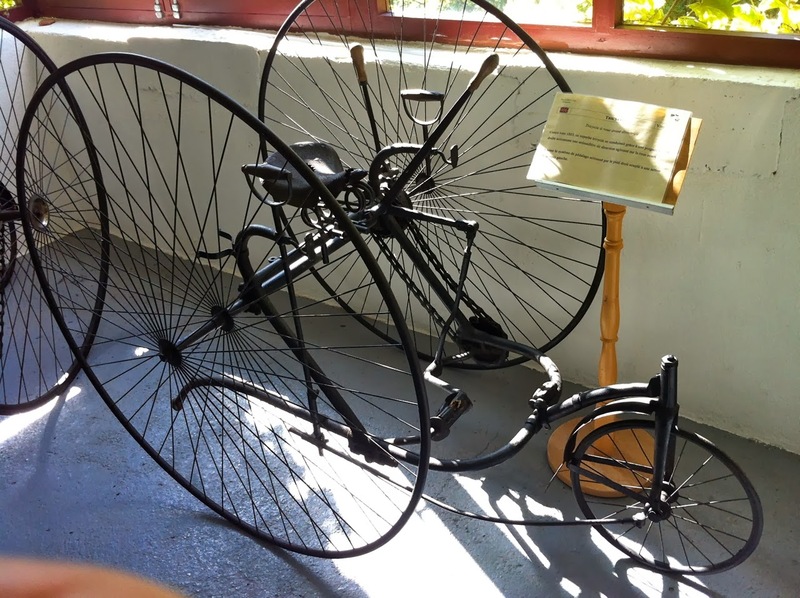 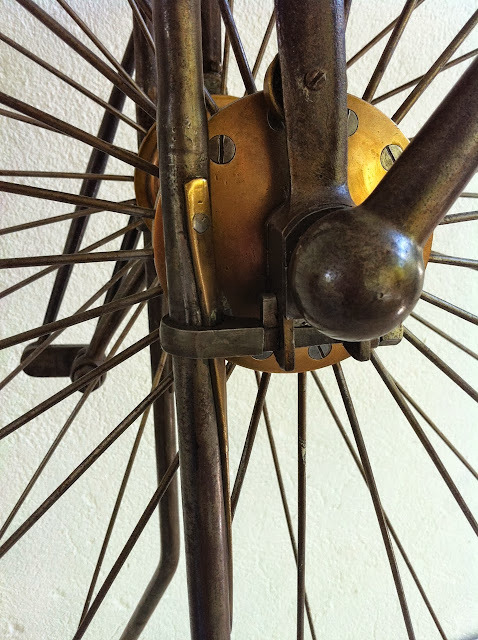 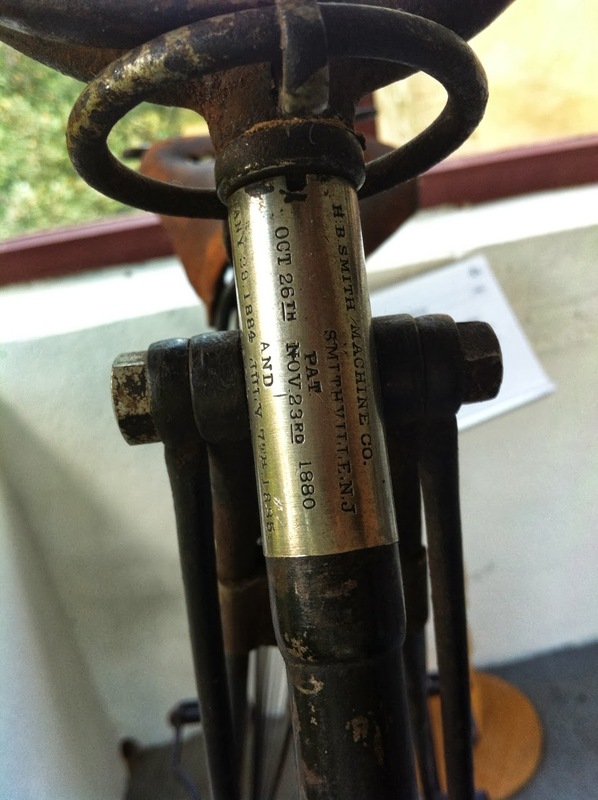 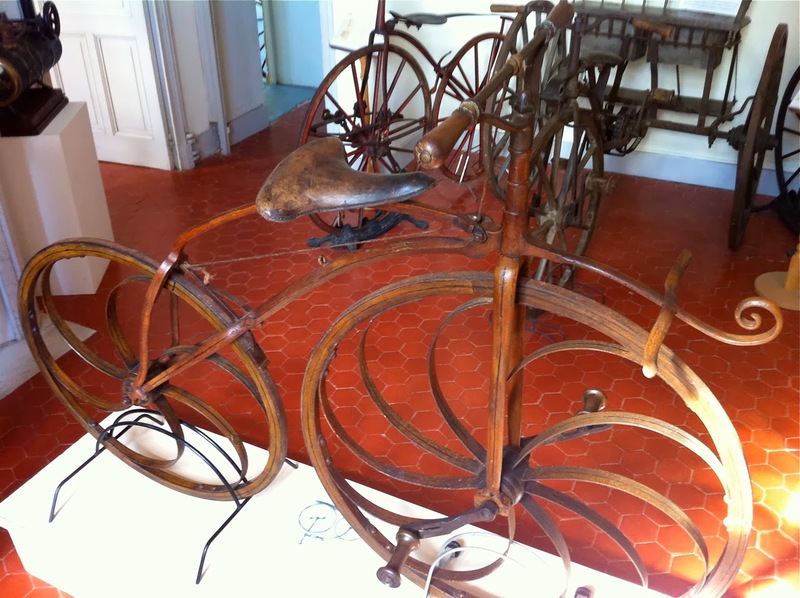 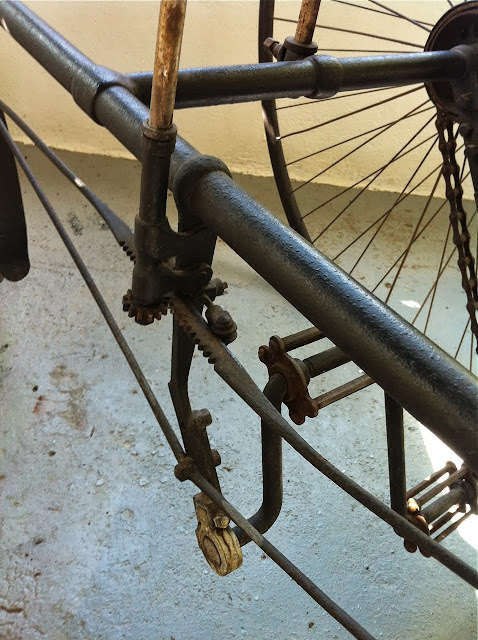 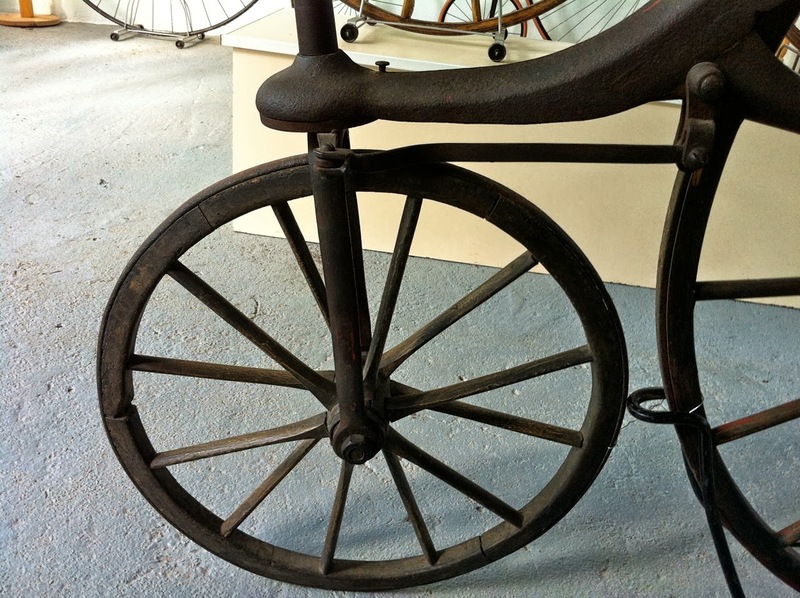 Located at the Château de Bosc, in the middle of wine and olive trees you find a collection of very early bicycles, from draisines to velocipedes, high bicycles and tricycles. 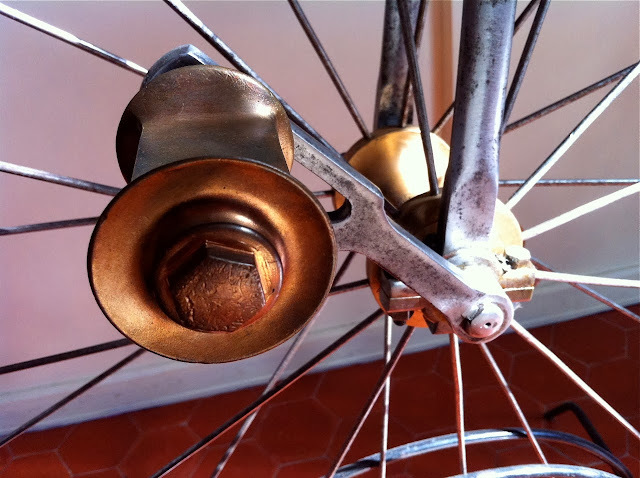 Most of the shown vehicles are equipped with rare suspensions and gearings, which make them very special and unique. Renard Freres, ordinary bicycle, 2,25 meters!